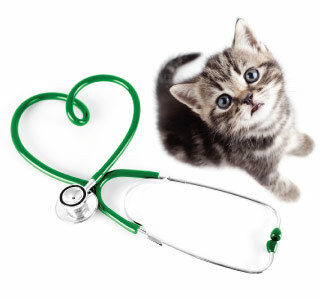 Although general veterinary practitioners can diagnose and treat many conditions, treating heart problems in cats requires specialized training in veterinary cardiology. In order to provide the best care possible to our patients, Seven Hills Veterinary Hospital retains the services of a veterinary board-certified cardiac specialist, Dr. Carrie Ginieczki, DVM, Diplomate ACVIM. Hypertrophic Cardiomyopathy (HCM), which literally means disease of the heart muscle, is a cardiac condition that causes a thickening and/or stretching of the heart’s walls. The two main forms of cardiomyopathy are Dilated and Restrictive. These changes provide the heart more time to fill and drain, thus allowing for a reduced chance of damage and failure. Because heart medication is modifying the function of the heart, it is important to strictly follow your veterinarian’s recommendations for dosage and administration frequency. Owners of cats with HCM should monitor their feline friends for any changes in their condition, even if they seem minor at first glance. This includes learning how to monitor respiratory rates and other vital signs at home, which a veterinarian can help with. It is also important to come in for a exam with any changes in your cat’s health or behavior and keep up all recheck appointments for the best outcome. If you suspect that your feline friend might be at risk for, or suffering from, any heart conditions, please contact us immediately to schedule an appointment with our resident veterinary board-certified cardiac specialist, Dr. Carrie Ginieczki, DVM, Diplomate ACVIM. Schedule A Veterinary Appointment For Your Cat Today!